Designed for marble applications. 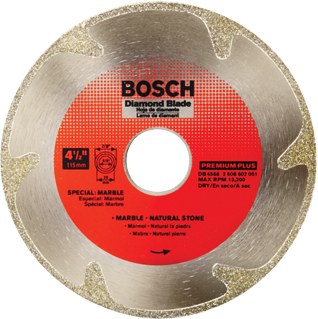 Continuous rim blades deliver up to 5x longer life versus standard blades and clean cutting performance in hard materials. For use in small angle grinder or tile cutter.